I love a hearty South Indian breakfast, so I go that extra mile to make the traditional breakfast that I’ve grown up eating – Idli, Dosa, Appam, Sanna, Panpolay, Mutli – aah, what is life without them? But then if you want to have a proper breakfast then it is also important to team it up with the right accompaniment. 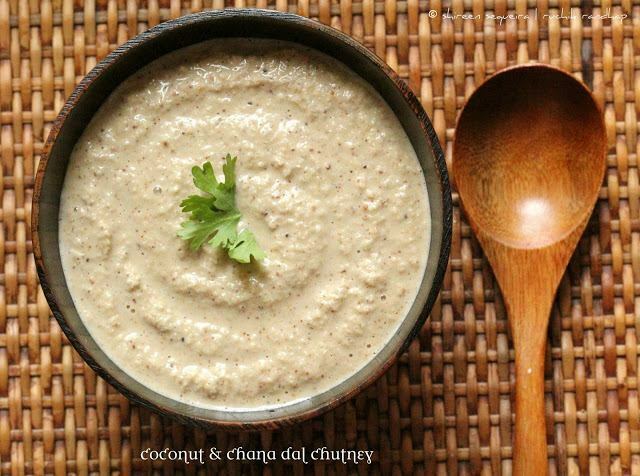 South Indian breads (as mentioned above) are usually fermented (except Neer Dosa & Mutli/Dumplings) and when served with a piping hot Sambhar (spiced & seasoned mixed vegetable broth) or a coconut chutney feels like a complete breakfast providing the body with the right nourishment to kick start one’s metabolism. On a hot tawa lightly roast the chana dal – do not brown them too much or they will taste bitter. Grind all the ingredients above to a coarse texture. Add boiled & cooled water only to assist grinding or to adjust consistency. Awwww Shireen, thanks a ton for the encouraging comments you leave on my blog..:) My husband stumbled upon your blog and was telling me about how awesome it was…;-) I then had to tell him the whole story..lol!! He was amazed to know that we know each other…:D Your blog and pictures help me survive in Lohr and make me look forward to our return back home to India!! 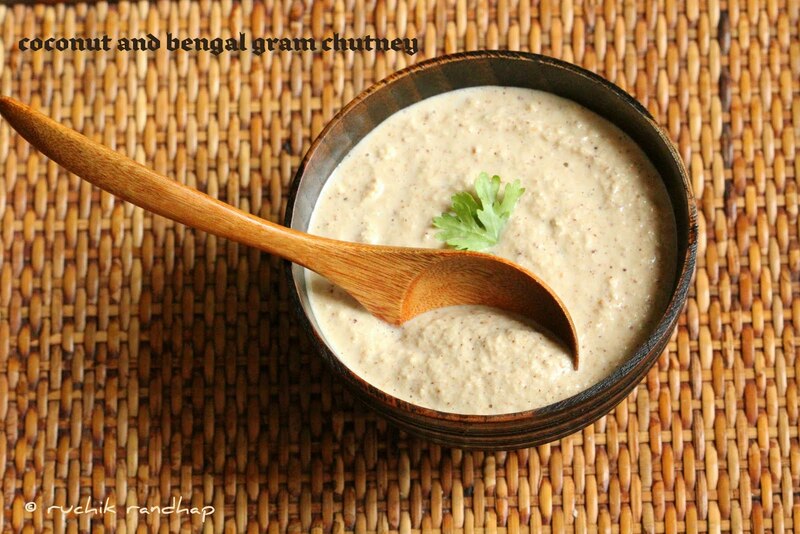 Simple and yummy quick fix chutney. Nice one. Love the clicks. A must in every south indian home!! Looks fresh & yummy!!! 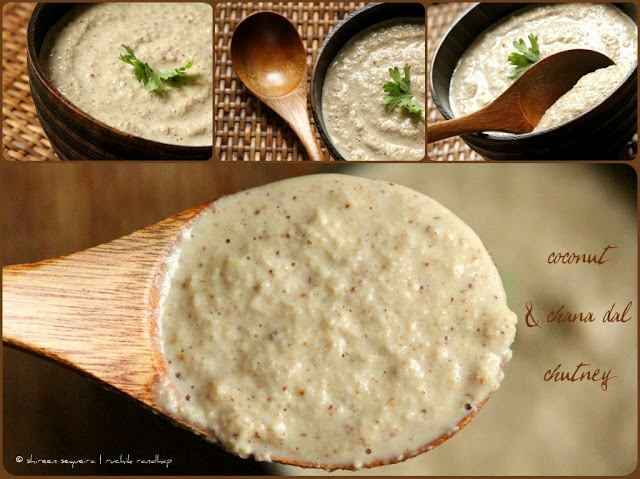 A bit of asafetida (Hing) will add more earthiness to this chutney 🙂 Love the clicks. Looks very homely and tempting. Your picture is being plagiarized by http://jainrasoi.com/pickles-chutneys/coconut-chutney. They have done this to lots of bloggers. Hi is it actual yellow chana dal or little yellow wht v cal daliya. Hi….One question.. If the dal is roasted more then is dre any way to rectify it?? Hi Shireen…….can you please post some pics of the process of roasting the chana dal so as to know how exactly it should be before grinding it……Thanks dear!!!!!! !